Xi’an, China. 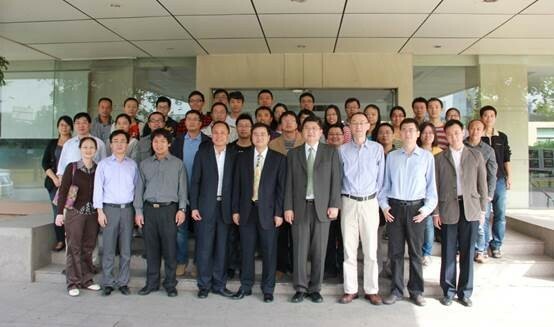 An IEE-TSI-PTL Joint Lab founding ceremony was successfully held in 28th September 2013. The ceremony was hosted by Prof. Junji Cao, Director of Institute of Earth Environment, CAS (IEE); joined by Mr. Taihong Wang, Manager of TSI Chinese Division, and Prof. David Pui, Director Particle Technology Lab (PTL), University of Minnesota. The aim of the lab is to improve the aerosol science and technology research and applications in China, and to understand of heavy air pollution in China caused by aerosol. The lab is powered by three parties: IEE, TSI Inc., and PTL. IEE is a nation-leading institution on aerosol research in China; TSI is an aerosol R&D company with worldwide reputation; PTL is famous for its aerosol science and technology research and instrumentation. 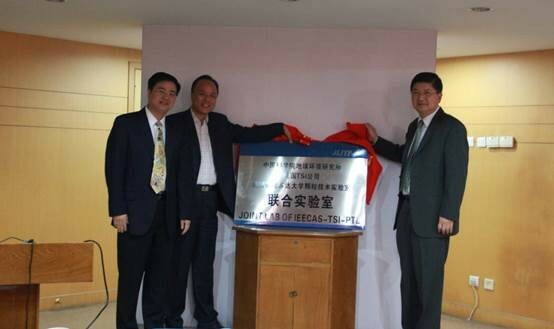 The jointing lab is also the first officially TSI sponsored lab in China. 1st TSI aerosol symposium was also hosted after the ceremony. Scholars, such as Prof. Dvid Pui, Prof Xin Yang from University of Fudan, Shanghai, Dr. Xiaoliang Wang from American Desert Research Institute, Dr. Yang Chen, Postdoc of IEE, shared their understanding of aerosol science and technology as well as current research hotspots. Two TSI engineers, Mr. Zhiqiang Deng and Mr. Nan Zhou, introduced the mechanism and operation of TSI instruments.